Do to others as you want done to you. Our perceived reality reflects the state of our soul. What we do to ourselves we are doing to others. What we do to others, we are doing to ourselves. What we give out is what we receive. What we receive is what we give out. We live in a hall of mirrors. The reality that we perceive is reflective of the state of our soul. The state of our soul is reflected in our reality. This world isn’t what most think, it is much more personalized because of the higher purpose it serves. For example, if we judge others it’s because we judge ourselves, thus we absorb the judgments of others. Otherwise, others’ judgments roll off us because we realize they are the projections of their own self-judgments. If we are dishonest with others, it’s because we are dishonest with ourselves, and we become caught in the snares of another’s dishonesty. Otherwise, another’s dishonesty has no ill effects upon our reality. If we give hypocritical love it’s because we don’t have a true love within ourselves thus we have to “fake” it, and in turn we are the recipients of another’s hypocritical love. Otherwise, we possess a growing honest love within our relationships and interactions, and the insincere relationships fade away. If we extend a sincere love to others it’s because we have true love within us, and we receive a sincerity of care from others to the extent they are aware and able. This hall of mirror effect includes the law of attraction, but it goes much deeper. The law of attraction entails attracting into our perceived reality certain people, situations, physical elements, etc based on our soul condition and what we truly project and give (not what we pretend to be or give). This is why as we significantly change, our friendships often change. Our reflective reality incorporates this law, but what fashions our reality goes much deeper. Our perceived reality is governed by the state of our soul, which is constructed of our consciousness, or awareness. We each have our own perceived reality. I see a situation one way and you see the same situation a different way. Look in your reality. What do you see? Your perception includes two basic elements: 1. what your consciousness (awareness or lack of) experiences amongst the elements of the environment and 2. your judgments about those experiences. Since our awareness is constantly changing however little or great, our current reality reveals the current state of our soul. Our soul is mutable because our awareness is changeable. Whenever we learn something new, it changes our awareness, which changes our soul projection. Our soul is in a constant state of fluctuation, however great or small. Thus, our perceived reality is fluid and constantly changing, and can be changed. Nothing is fixed. There is constant motion because all is energy. What affects that motion is the state of our soul, our consciousness, and the energy it houses, which is either of love or fear. A higher consciousness (more developed soul condition) is one with more awareness. Awareness expands by sincere love. The more love within our soul, the greater our awareness thus we operate with a higher level of consciousness. Love puts us in the frameworks of truth, thus why we have more awareness. One significant roadblock to desirable change in our soul thus reality is blame, (also expressed in self-pity, victimization of self, un-forgiveness, revenge, anger, condescending judging, prideful arrogance). When we blame we don’t take responsibility for what our reality is reflecting back to us, but we put it upon another. This blinds us so we don’t gain the increased awareness that will change our reality that we are blaming other(s) about. But as we eradicate blame from our lives by humbling ourselves to learn, we learn and this expands our awareness, which heightens our consciousness. Thus, our perceived reality is altered. Our level of soul development determines what we experience in our reality. If you’ve gone through soulful changes in your life, then you have witnessed this dynamic. Because our reality is like a mirror as it reflects what our soul projects, as we change from the soul outward, our reality reflects those changes. Once this truth is understood and accepted, then there is much to learn from everything around us. Ultimately our perceived reality is housed within the care of our heavenly Father, our Creator. He desires us to learn and grow into an oneness with him, so our mortal experience is crafted in this reflective way to help us learn and grow. No one sees our reality as we do. We see it that way for a reason, for there are multiple views we could have of it. If we are willing to learn, there is much to learn. When we open our soul perceptions and are willing to listen to what underlies our situations, interactions and relationships, then there is always something for us to learn. We never know as we ought, so we can always learn. As we grow in awareness, we grow in our ability to perceive these lessons, which continues to expand our awareness, which effects our perceived reality. Now we see the impact of this wisdom, “do to others as you want done to you.” This is harder to do than one might think. It takes expanding awareness, humility, and a willingness to change in growing kindness, honor, and respect. It requires a willingness to forgive, and many other soulful qualities that sometimes don’t come easy when pride and fear fill our consciousness. But with receipt of divine love into our soul, these hinderances are overcome. Don’t most of us desire to give and receive a sincere unchanging love; kindness, consideration, compassion, and understanding? If we truly desire to give and receive love, then we will grow in the awareness of this love and it will become a part of our reality. The capacity to love as we desire and to receive love as we desire comes from an oneness with the Source of love, our heavenly Father. Our consciousness is bound in limitations, but in establishing an oneness with him, thus his consciousness, we become limitless in our capacity to grow and transform, thus to expand in love. The starting place to gaining a reflection we desire is to know and accept the divine love of our heavenly Father. This love creates an increasing magnificent reflection. It doesn’t come speedily, because it changes our soul in the process, but it comes. And when the reflection comes through an oneness with him, it is of his creation, thus it is our rest. To strive to develop a consciousness of true love apart from him is an endless cycle of frustration, but with him it is an experience of growth and expansion. If we want to be reflective of divine love, then we must return to the Source of divine love; our first love, the love from which we came, and become a subset of his perfect consciousness. Living love is living life. May the eternal light of this truth dawn in our hearts to shine forevermore. Divine Truth is received into our soul from a higher frequency … one that pulsates from divine love. To tune into truth, we must tune into love. In the innermost chambers of our soul is a gateway into another reality. There are two paralleling universes. One is a perception, experience, and reality of separation. The other is a perception, experience, and reality of oneness. The place in which we cross from one to the other is in this innermost chamber. Sounds like fantasy, and it remains a fantasy until we perceive the truth of this alternate reality of oneness. As we tune into truth through divine love, through our soul perceptions we begin to perceive this other reality that we can transition into, the realm of our Father’s presence, the realm of eternal light. Yet, this glorious realm remains hidden from our awareness as long as our soul remains hidden in lies. It can only be found when the truth of its nature is known, which corresponds to the lies of our soul being replaced with truth. We can’t transform into what we don’t perceive or know. Further, because this is the realm of our Father’s presence, thus the realm of divine love, until we know and desire this love, this reality remains obscure. It’s encountered through his love and entered into by his love for it is the reality of his love. Thus, it takes our free-will choice to accept and be transformed by this love, because love always grows out of desire, free will, and choice. We choose and divine love changes. So, we find the truth through love, and in that truth we find the door to this hidden yet ever-present parallel reality. 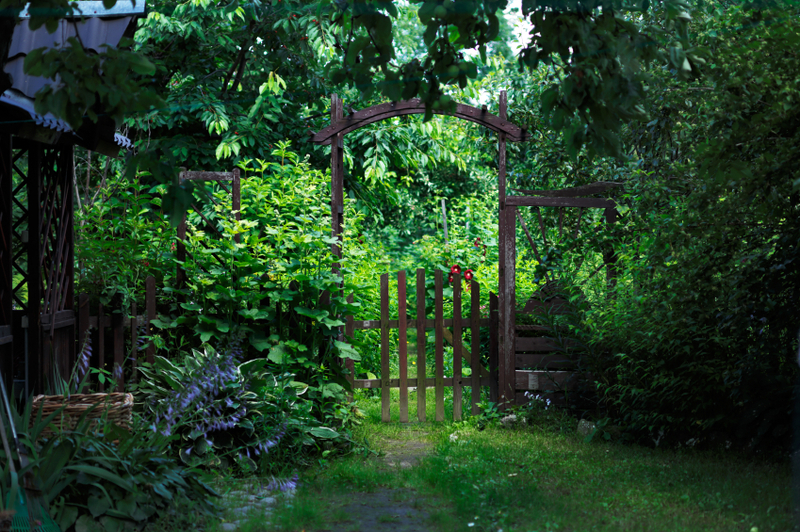 In the reality of separation there is a path to the reality of oneness that leads us to this door. It’s the path of truth flowing from divine love. Truth is definitive. Thus, as we traverse the path of truth, the path becomes increasingly narrow when perceived from the reality of separation because truth doesn’t entail anything of separation. As we grow in the awareness of truth, we shed all that creates separation, and our lives are transitioned from a soul experience of separateness to oneness. This process usually entails great upheavals in our soul as all is turned inside out and all is exposed. It’s a very humbling and trying time. Yet in this process, our soul is starting its transformation from the likeness of one born in a reality of separation to one born of the reality of oneness. While the path is quite narrow while in the reality of separation, once in the reality of oneness we are limitless. To go through the door into the reality of oneness, we take nothing of the reality of separation. Thus along the path of truth, we shed all that we are except for the pure essence of our individuality shaped by the Spirit of love and truth. We can’t take anything of separation; hatred, anger, bitterness, resentment, jealousy, greed, self-determination, self will, ugliness, blame, judgment, self-pity, pride, self-righteousness, self-exultation, etc. It doesn’t fit through the doorway, for these things don’t exist in this reality of oneness. All we take is what the spirit of divine love and truth have sown in our souls in accordance with the uniqueness of our individuality. Thus, our soul’s raiment is of unity; divine love, peace, harmony, humility, giving, sharing, rest, beauty, etc. We leave behind all the cares and ways of the reality of separation for they were sown in separation to serve separation, and they have no part in the reality of oneness, except as a memory washed in his love. Though only a memory, it’s this memory that enables us to abide in the oneness of the reality of the real and eternal. As we start to grow in the awareness of truth, our soul perceptions become attune to the true heavenly Father (not some image crafted by others, but a personal knowing born out of a longing and desire for a personal communion within our soul), who is distant from the reality of separation and yet still close to us. He is only a breath away in our innermost soul, but from the viewpoint of the reality of separation it feels as distant as death. As we continue to draw close and perceive our Father as he truly is, thus his love as it truly is, thus ourselves and others as we all truly are, the door to his reality becomes dimly lit. We are beginning to perceive our true origin; the midst of his presence, which is a consuming love. This door within our soul leads us back into our point of origin, our heavenly Father. Upon passing through it we enter into the eternal light, which is being fully awake in the reality of our Father’s love. Thus, we are no longer in the sleep of separation. We awaken to this place once our individuality is formed. Our individuality is complete and ready to find entrance into the reality of oneness once divine love finds its place at the origin of our individuality, which for us is a new birth as the very origin of our soul is transitioned from a starting point of separateness to one of oneness. And once our souls are clothed in his truth and love by the workings of his spirit, we find entrance into his realm. Our soul is like a garden. Prior to the inner workings of love and truth in our soul, our inner soul has been neglected for we haven’t even seen it. It’s been covered with the mortal mind materialized through a reality of separation. It’s like a garden filled with weeds and overgrown with kudzu. We can’t see anything clearly and our soul perceptions are dimmed and covered in untruths. This is what happens when we abide in the reality of separation. As we relinquish to the workings of the Spirit of love and truth, our soul becomes like a well tended gardened. As the lies are cleared by the truth, eventually we are able to perceive this hidden door into the reality that is the true home of our birthplace, the heart of our loving Father. In this reality, his loving presence is like the air, it surrounds us, and fills and governs every breath. Through love’s prompting we stumble upon the path, and when we recognize it, we only want to continue on it wherever it leads because we realize it is the path to the door of our eternal home in the center of our Father’s love. It’s dark here, in the womb of the earth, before we become new souls with eyes of light. These eyes of light are created from the union of our soul with divinity. Our eyes of light are manifested when our soul’s eye, the genesis of our perceptions of what we do see, is connected to the all-knowing eye of our Father, so that his perception governs our perception. In this union, our awareness is filled with light; perceiving everything from the real and everlasting absolute truth and divine love of our Father. It’s a harmonious perspective with our Father that enables the gentle yet powerful inflow and outflow of his divine love and intellect through us, thus regenerating us into new souls. But while in this womb state, we lack the true eyes of light; as these eyes are the results of a soul of divinity. In this disconnect from the all-knowing source, our perceptions are ones that only know our individual mind, thus are vastly limited and often tumbling into error. We are walking around as blind people, a blindness by our own perceptions as to what is real and what isn’t. We are all in the womb having never been outside, and yet trying to guess. This is why there are so many images of who our Father is, what our purpose here is, how to live, and so on. We only know the womb. Imagine a bunch of embryos of all levels of development trying to know what is outside of the womb, that’s us. This is why we all have such varying perceptions of this reality and everything in it. And why we need to give each other abundant mercy, for we are doing what we can in a world of blindness. Therefore, if we perceive a sliver of an object and I sense it from one angle and you another, we will never agree to what it truly is. If we share similar perspectives because of our past experiences and what we learned or gained from them, our perspectives may be more similar and thus we find agreement, though it doesn’t mean it’s correct. For example, imagine we are walking in complete darkness. You feel a lamp. Now you may think it one thing and I something else, but how can we know for sure its true nature, purpose, and internal structure? We can’t unless someone who sees teaches us. It’s like two blind people arguing over what they can’t see, thinking they both see clearly. So it doesn’t matter how many people believe something it doesn’t mean they are correct, as history teaches us. People follow what sounds good to them, but that doesn’t mean it’s true or right. In this state how can we be sure of anything we know? There is a “light” available that helps us, which also causes us to develop in this womb so that we can we born out of it, with eyes of light. It’s living faith. Our soul development is a testimony that we “perceive” this light. The only true light here is a living faith, that though we are still in darkness it serves as a dim light that can grow brighter, like a flashlight with a dimmer switch. It shines from the inside out, by the influence of our Father’s love into our lives through his holy spirit, and from the intimate instruction of Jesus Christ. This faith is constructed out of their personal instruction of absolute truth and divine love to our soul. However, suppose you and I both seeking to learn from our Father. We will learn the same concepts for truth is truth. Yet, gaining truth is a journey, as it can only build. So while he is teaching one soul one layer of truths based on where they are and what they can understand in their current maturity, he is teaching someone else even deeper truths because they already had building blocks 1, 2 and 3 that the other person is now only learning. Truth always goes deeper and stacks upon itself, moving from the symbol and shadow to the actual and real. For clarity, imagine one is learning arithmetic and the other calculus. And the one learning arithmetic can’t understand the one speaking of calculus, and sometimes can label it as wrong, but it’s only a deeper layer of understanding, thus perception. This stacking nature of truth is why we’ve been given the beautiful necessity of customized instruction. It’s by this intimate teaching that our understanding is built into a solid foundation, which brings about a living faith, which brings about our new soul birth. Thus our faith is like a light, but isn’t the light. Its purpose is to lead us to the light, a new soul birth. So, we don’t actually see for we are still in the darkness of the womb, but we are “seeing” by understanding the truths and love we are being taught. And because truth is truth, the more we learn the more in line our perspective becomes with what is real and everlasting. It becomes so real and deep, that we gain a living faith, a faith in which we act as if we are in the light. Like a blind person we can learn how to function in this world/womb, and the more “learned” we are under our Father’s instruction, the more able we are to function in this blindness. The more we learn from the source of truth, the more we can “perceive” in more accuracy the world we cannot see. Though our faith is built upon what is everlasting, we don’t actually have the experiences of everlasting life in fullness and realness, but in part with a hope for the fullness. Like growing embryos hoping to be born. But because this hope is based on what is real, it’s a hope that will be fulfilled. All other hopes built on the unreal will fall. But as we continue in this learning that develops our soul, we mature to a point in our soul development in which we are ready to be born. Only our heavenly Father knows when our soul is developed and prepared to receive this union. For without our souls developed to be in harmony with his ways, truth, and love, it can’t take place. This development is the main purpose and work of Jesus Christ in our lives while in this womb. He teaches us to develop our faith to such an extent that we can be a conduit of this living light, thus a new soul, and come into the embrace of our Father. The substance of living faith is in what is beyond this womb of darkness, the true and everlasting life in which we are connected “face to face” with our heavenly Father. His love surrounds us in this flesh veil, but there is a limitedness of which we can connect to him as a child is disconnected from their father while an embryo. This is why our faith is sometimes difficult. Our faith is built on the realness that is not yet here, and what is here, in this womb, is an unreal state. So what’s here isn’t real, and yet his love also isn’t here in it’s fullness, we experience it in part and by faith. This duality creates some days in which we see through the darkness of aloneness, and other days we see through the light of our Father’s love. We vacillate in varying degrees and intensities until the substance of our faith fully manifests. Keep seeking the light of divine truth and love, and you will experience the fulfillment of the Father’s love for you, for you will see him as if “face to face”. The heavenly Father’s divine love is here for us, if we will only desire it with a true heart and soul longing. Love never forces itself upon another, it is against its nature, thus we must desire it. If we honestly desire it, it means we are willing for it to change us and mold us in any way that it leads us, for this love of divinity always leads us deeper into itself, thus into perfection and more love. This is how we are purified to a pristine soul, for when we walk and abide in divine love we start to live in increasing purity for this is its nature. We can’t be a part of divine love and give this love, and remain soiled in our soul. This is why divine love is a great healer in many ways; it changes everything in our mind, soul, spirit, and body. In receiving this inflow of divine love we are transformed into new creations, inside out. Again divine love is love of divinity, the love of the heavenly Father, versus mere human or natural love. It’s a love that contains thus reflects the characteristics of the heavenly Father. This concept of how we receive divine love relies heavily upon mankind’s will to desire it. This leads to the idea of mankind’s “free” will. If they reject this love, then their will must be free to do so, right? Not exactly. Our will follows our desires. Desires are shaped at a subconscious level by many things, that we are aware of and aren’t aware of, and thus are anything but free; therefore neither is our will free that follows it. In this land of an unreal psychological reality, lies, fears, and images are the defining factors shaping mankind’s desires thus will. (unreal psychological reality = a perception of reality based on what is not real, i.e. lies and images) All of these elements based in the unreal are contrary to this divine love. So in pursuing desires based upon them, we can’t attain what we all truly desire, divine love. So as our desires are bound by lies, “free” will is an illusion. There is nothing more binding than a lie we believe to be the truth. Our will is shaped by our desires that are shaped by the influences of truth or error around us. Only desires shaped by divine love manifest the real, a true inflow of the love of God. All other desires shaped by the unreal keep us bound to a lack of that love, thus the unreal. And what I have learned of divine love is it’s the true desire of every soul whether they realize it or not. So if mankind’s desires can be shaped and influenced, which this is obviously the case, then my question is why doesn’t the heavenly Father’s divine love come and shape those desires for His love? If this love is a great power, which it is when we experience its nature and influence in our lives, why isn’t it actively influencing souls and crafting mankind’s desires? Is a lie that is unreal more powerful than His love that is real? In the unreal this love isn’t known, for it exists only in the real. With the plethora and extent of lies posing as truth, this divine love isn’t known or recognized, thus it isn’t believed that it exists. Very few people know and believe it, so it isn’t seen among the masses, thus isn’t believed in. It’s similar to when people believed the earth was flat. It wasn’t questioned until more understanding and knowledge came along to the masses, then it was understood and accepted that it was round. In “Stirring the Deep”, I’ve stirred my way right out of this reality. If we were in the real, the heavenly Father’s divine love would be influencing every soul and drawing it into itself. This is the nature of love: it cares, it never fails, and it looks out for the weaker, and it does for the weaker what it can’t do for itself. When we come to understand and know the divine love of our heavenly Father, we realize that a place of suffering (created by an unreal psychological reality that is void of the love of God), isn’t truly real, but only a reflection of the state of our mind, like a dream. We go to sleep and enter a different reality, and yet in the dream state we believe it is real, until we “wake” up. So, I’m wondering if we are in a dream state, a sleep state, in which we experience an unreal reality for purposes of soul development? And we awaken out of this sleep as we start to move into the real, the divine love of God? In divine love, death doesn’t exist. It can’t. It couldn’t be a reality in the midst of divine love. This is why death can and will be destroyed; it is based on the unreal and only an illusion of an unreal reality. So if this love is in the real and we are in the unreal, how is that gap bridged? I pray for a great awakening in mankind’s soul perceptions to the reality of divine love. By the way, Happy New Year. May it be one of a great emergence from the unreal to the real. Categories: Uncategorized | Tags: asleep, Death, Faith, God, Jesus Christ, Lies, real, reality, truth, unreal | Permalink. Heavenly Father, there is no greater power than Your divine love, and it is that love that we beckon to fill this place this Christmas in the perfection of truth. We are moved by your creation and the love that it can ignite in us. Thank you for the animals who show us a purity and sincerity of love, and this love’s ability to direct us to a higher love than our own, your divine love. May the love that is felt for these animals in each human soul, become unified to your divine love this night. We lift up all these spirits who have so much to give and yet are so often discounted, neglected, mistreated, and truly Fatherless. They suffer greatly from the lack of love in this world. May their cries come to your ears. May you gather up their spirits into your perfect love. May they find a connection with you and you with them that has been severed. May your love do a mighty work in their lives. May this offering of love delight you and cause your perfect love to reign upon all of creation. Your love heals the soul driving out all sin and error, and healing is what we need. Let the healing power of your love fall upon mankind. May each soul be awakened with a desire to know Your love. And may those truly seeking for it receive a filling of this love in their soul. May every soul beneath and beyond be touched by this love. It is your divine love that we need, it is what we seek, it is what we utmost desire. Having been in the darkness and then the light, I know it is the deepest desire of every human soul and I pray on their behalf. May that desire come to light and ignite in this dark place. May thy will be done on earth as it is in heaven. Amen. Categories: Prayer, Uncategorized | Tags: Prayer, redemption, Salvation | Permalink. In the way of perfect goodness there is only life. Why would a God of love and life cast a reflection of death, killing, animal sacrifice (offering of fear and death), stoning, and eating of dead flesh as we see in the Old Testament of the Bible? Is this the reflection of the true eternal God of divine love? How can what is life reflect death? How can perfect love reflect fear? How can a mirror reflect something opposite? These are the questions a soul seeking truth asks. When we are seeking the truth, thus the source of truth, we have to ask ourselves is the image of god, the one our minds have been shaped with, the true God Almighty? Life is life, not death. Life reflects life, not death. It can’t be what it isn’t. In seeking truth, we are led beyond all that is of this world, what is created by this world, and what is sown in this world, that which is darkened in corruption. We go above the dark clouds of fear, death and suffering, that hover over this lower realm and discover a higher realm where purity, truth, life and divine love exists. As humans we were blessed with this capacity by the Spirit of Truth – to connect through the spirit, beyond the spirit that hovers and governs this world, to a higher Spirit who exists beyond this creation. We must ascend above the film of this reality into the spirit beyond. In this ascension, we start to “see” the essence of the Most High, who is perfect divine love. Then we ask, who is the god of the Bible, the Old Testament? One Jesus greatly contrasted? Bound in their beliefs of a god of death, Christ gently showed them the reflection of God Almighty who is beyond this lower realm. He spoke in a way they could receive by starting with what they knew, their perceptions of god. He contrasted the higher law with the lower one, teaching that love and life, not fear and death, are the nature of the Most High. This god of the lower realm rules by fear, not love. Fear is the lack of love. Love fills the emptiness of a soul and in doing so drives out all fear. Fear involves torment because of the lack; lack of care, healing, protection, safety, mercy, counsel, comfort, care, and kindness. Fear doesn’t involve healing and love. Fear and perfect love can’t co-exist, for one is the lack of the other. So who is this god they called Father? The god of this world, one formed without love and therefore that is how he rules? Christ came reflecting and teaching that we have the ability to connect to the Most High, as he did. And not only connect, but to be a part of His divine love as he was, and be a spiritual entity that never dies when it’s of life. Divine love is the supreme good, perfect governance and superior state of mind for any creation. It prevails over all. Thus, Christ left us with a new command to govern our mind, to love as he loved which was with the eternal Father’s divine love, a love not of this world. Not commands of death, killing, cruelty, stoning, animal sacrifice, feasting on death sown in fear and pain, hatred …only perfect love. By embracing the ways of divine love, we are separated from the governance of the god of this world. We are set free from serving what is opposite of love, and embark on a path of being transformed by this divine love. We begin to take on a new likeness of the Supreme Creator, thus transitioning into children of the Most High. In this likeness, we live and act in accordance to divine love and its principles and ways. Thus, we start to reflect His nature, as Christ did. What we do and live by reflects our God, who is a creator and dispenser of thoughts; thoughts/beliefs that govern us. Our thoughts either create and feed fear, death, suffering, cruelty, torment, lust and rebellion OR kindness, care, compassion, beauty, honor and love toward all of creation. We can’t do both for one is the opposite of the other. One comes from an emptiness, the other from an oneness. The characteristics that govern our beliefs reveal the god governing our mind. One god feeds us death, the other life. We feast on lies or truth. We feast on the flesh of the dead or the fruits of the living. Our choices and lives are a reflection of who we serve and know God to be or not to be. The more we know of the Most High God, the more our life is of life and not death; not consuming death, wearing death, feeding fear, or governed by fear. The desire of one who is of divine love is not to do anything that is counter to it. When we choose the paths of life, we become a part of the eternal life. Along the way, we are transformed from the inside out into creations reflecting a higher realm, and no longer the lower one we were born into. May we let love, true, sincere, and real divine love, be our only guide in our daily lives. Not convenience, habit, tradition, culture, mankind’s religions, or the world’s wisdom. This is the awakening to true righteousness. It’s coming out of the ways of blindness (darkness) and into a healing reality of life. As I have been seeking the truth, divine love met me on my path. Walking in its principles creates more life and love in your life, not less. Love forever grows and expands in your life for it is of life. It’s the supreme way and governance. When we seek truth in all sincerity, we come to find divine love. It’s the way of perfection for all of creation. The perfection of love is a reflection of the Most High God. May we all come out of the blinding darkness and into the marvelous light. Categories: Uncategorized | Tags: divine love, Faith, God, god of the world, goodness, heavenly Father, light, Love, righteousness, transformation, true, truth, understanding | Permalink.